Only two hours northeast of Atlanta, GA, but a lifetime away when it comes to lifestyle. 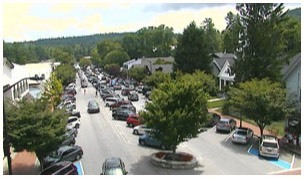 Highlands, North Carolina is located at an average elevation of 4,118 feet. 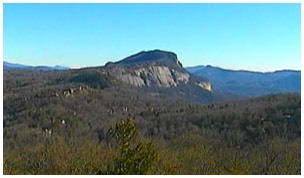 Cashiers (just 10 miles away) is located at 3,484. Situated just south of the Great Smoky Mountains National Park, we offer the finest real estate in North Carolina. Life here is sheltered from the storms of the outside world. Preferred Properties of Highlands, Inc. has been the real estate firm of choice for the sale of homes and properties. With international exposure through our award-winning web site, Zillow, Trulia, Realtor.com, Nestigator and dozens of other online real estate websites, regional exposure in Atlanta and the southeast and local exposure in the Real Estate Buyers Guide, Laurel Magazine, Highlands Chamber of Commerce, newspaper and other sources, we are uniquely positioned to professionally promote and sell your property. When you work with Preferred Properties, we work as a team for your best interests. Our agents are held to the highest standards of honesty and ethics and fully comply with North Carolina real estate regulations. As a member of the National Association of Realtors and Highlands-Cashiers Multiple Listing Service, no one is more qualified than Preferred Properties to complete the sale of your property. If you are interested in Commercial Listings, look no further than Preferred Properties. We are members of LoopNet & CoStar - the worlds largest online commercial real estate audience. The mountain communities of Highlands and Cashiers, North Carolina offer some of the most breathtaking vistas, golf courses and scenery in the eastern part of the United States. Located on the Southernmost escarpment of the Blue Ridge Mountains, Highlands, Cashiers and our surrounding communities are the most easily accessible getaways for those looking to escape the seasonal heat of surrounding states. Preferred Properties of Highlands, Inc. has dedicated itself to assisting individuals looking for the the home of their dreams in Highlands, Cashiers, Glenville, Sapphire and Scaly Mountain, North Carolina. If you are ready to find the mountain home of your dreams, whether a summer cottage, large estate or even a commercial venture, contact Preferred Properties of Highlands. We are always ready to help and have the track record to prove it. Offering and selling the finest real estate in the Highlands, NC and Cashiers, NC area.